Work is letting me go home to my family in the new year. 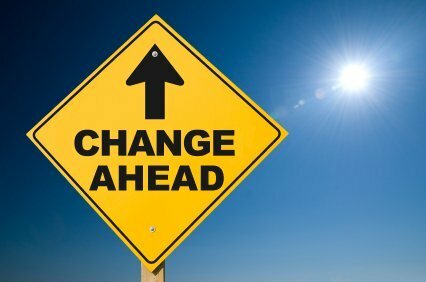 After the past two years in Canberra I am being moved to a new position in Sydney starting after Christmas. Mrs Mab is super happy, I am mostly relieved. It was never a sure thing. They might have kept me in Canberra or even another location. So to get the confirmation on Friday was massive. Can start counting down the days. Why all of a sudden…. I am expecting work to shift me again at the end of this year. In about late June I will find out where they are sending me. I’ve discussed it with management, but the choice is never my own. Management weren’t overly convincing that they will send me back to Sydney so I can rejoin my family. Kind of out of my funk from the last few days. I’m feeling very broke (car repairs) and want to get out and ride (short cold wet winter days oh, and work) so letting off steam is a bit hard. I’m not sure I’ll be right out of it until the decision for next year is made. What else has been bringing me down. One of my closest friends father died the other week too. I didn’t know him too well but whenever I dropped around to their restaurant he would cook up some great food and make sure I was stuffed full before I left. Obviously tough on my friend and her family. I made it too the funeral which was nice. Hence not a lot of posting, just not into it at the moment. Like gaming. Still not playing anything. I should bust out the PS3 games and get stuck in. Been hacking and drilling and cutting and sanding my Sony Action Camera case to try and mod it so I can record myself talking while riding. My first test went really well. but since then I haven’t been able to get it to work. I think it’s the mic being in a different place each time, so next time, I’ll move it back to the first position. 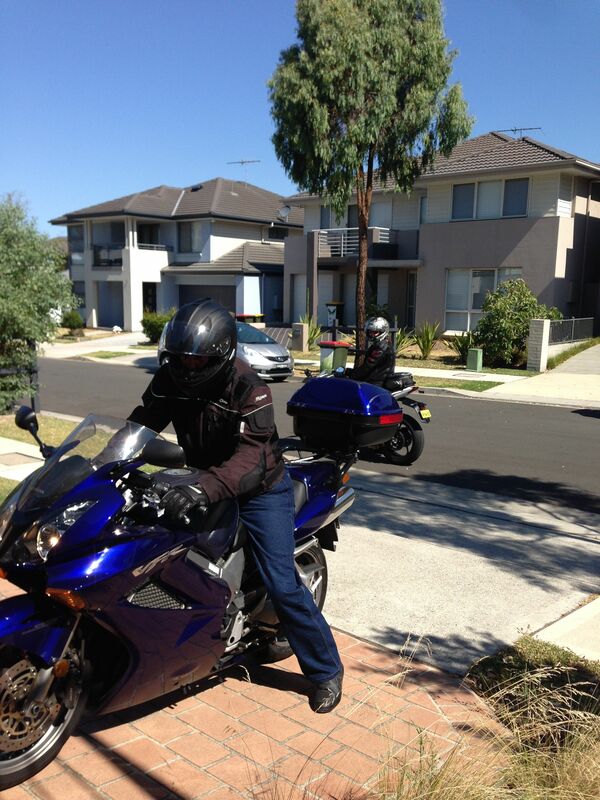 Author MabahoPosted on August 13, 2014 Categories BikesTags CanberraMove, VFR800Leave a comment on My first blog…..while riding! A brisk… no actually… cold ride from Sydney to Canberra tonight. The temperature was low (about 5-6C) but what really made it awkward was twofold. One was self induced. I dug some old riding pants out of the cupboard to trial. I bought these pants about 7 years (and about 20Kg) ago. I didn’t like them then, but I couldn’t remember why. Surprisingly they still fit. But it wasn’t until I tried to get on the bike that I think I figured out why I didn’t like them. They were tight in the inseam or something – it felt tight where it made it sort of odd to sit on the bike. Though 3 hours later I wasn’t too unhappy. They were also pretty slippery on the seat. That was a surprise as I slid over to take a curve and almost slid myself off the bike! As a plus, they’re a lot safer than my kevlar jeans and warmer too. So problem one was new/old pants. The second problem was the wind. It wasn’t particularly cold and not really strong, but I just found myself fighting against it from Sydney until Goulburn. It wasn’t hard but it was tiring for two hours. I think that’s why I missed it when it happened. 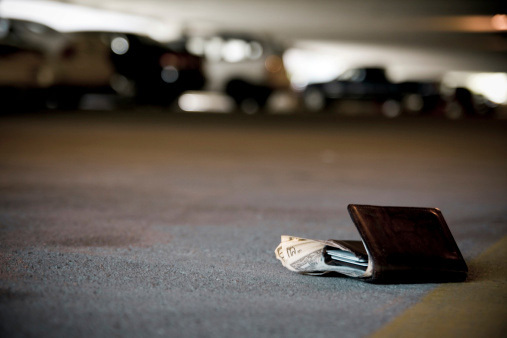 I stopped for a warm kebab at Goulburn and it wasn’t until I got to Canberra that I think I left my wallet there, or it fell out around there sometime. I was cold and somewhat fatigued and it was dark so I just didn’t notice. At least I didn’t have anything much in there – a couple of easily replaced credit cards, my licence and my last $45 until payday. Ok, that last bit is the most annoying, but at least it wasn’t like $200! Thankfully my work ID cards weren’t there either. And it is the first time I’ve done that pretty much ever as far as I can remember. I’ve lost the odd card or few dollars here and there – so on average that isn’t bad. 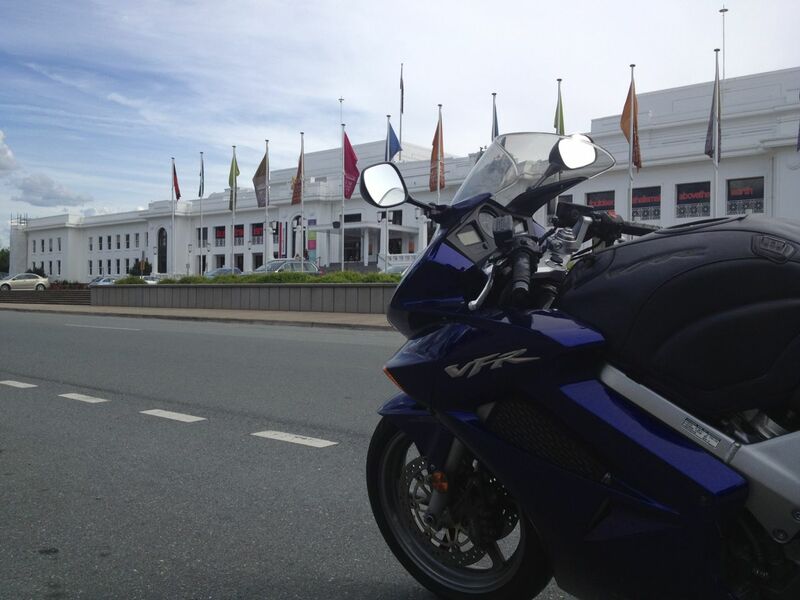 Author MabahoPosted on May 4, 2014 Categories BikesTags CanberraMove, rides, VFR800Leave a comment on Well that’s a first. I haven’t ridden this far in 50 years. So I’ve moved down to Canberra where I live during the week, and head home every weekend. One of the problems with this has been that whichever bike stays in Sydney won’t get ridden, and its not fair to my family to be away all week, come home late Friday and then spend all Saturday riding, before leaving for Canberra mid afternoon Sunday. I always planned to move both bikes down here, but how do I do that. I’d really need a lift from a buddy or maybe catch the intercity bus. 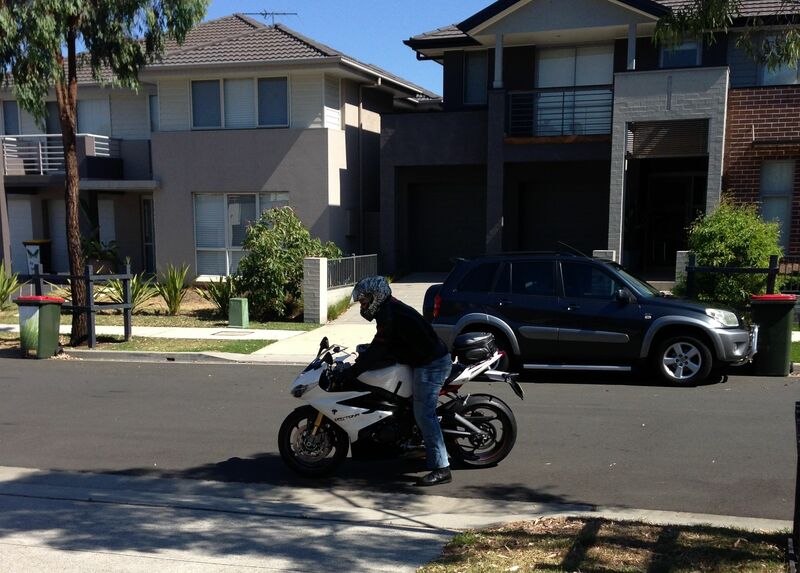 My mum and dad were headed to Sydney on their way to my sisters, so my dad suggested he rides the other one down. Which was a really good idea. Except he’s ridden my VFR for a total of about 20minutes in the suburb only (no freeway, no back roads) and not ridden this far (to quote him “furthest he’s ridden in 50 years”). We can’t leave until after 4pm as my wife doesn’t get home from work, giving us about 4 hours of daylight. If it takes us too long we can’t ride on the back roads as the kangaroos are a real hazard around dusk. Then to add to it all, we turn on a bit of a heat wave and we’re expecting about 38C, clear skies all day…. he’s from NZ so not so used to our temps. But in the spirit of adventure… stuff all that, LETS RIDE! Just about to head off. It was warm, and it took Dad a little while to get used to the higher speeds (and glorious smooth comfort of the VFR, his normal ride is a KTM 690 Duke, he calls a tractor by comparison). I bought a set of Scala Riders several months back and they did great work on this trip. Our route took us down the freeway at first, partly to build his confidence and partly trading fun for time so we could do the best bit at the end. By Moss Vale Service Centre we both needed a stop for a leg stretch, but more importantly some water. It was very hot and no clouds to relieve us. We spent a couple of minutes drinking up and chatting to a bloke doing the run on a Speed Triple. At Marulan we’d made up enough time that I was happy and we turned off into the country roads. Dad’s first taste of the country NSW on a bike. The comms worked well and I was able to give him general tips and warn him about hazards and tighter turns coming up… I’m sure he was sick of me nattering in his ear. But I was protecting two things very important to me. And I gotta say he did really well. He enjoyed himself but even he admitted he had the death grip on the handle bars for most of the day – part of that was the pressure of not smashing my VFR I guess. The forested roads gave us a lot of relief from the sun and evening was stretching on as the sun came down – into our eyes. 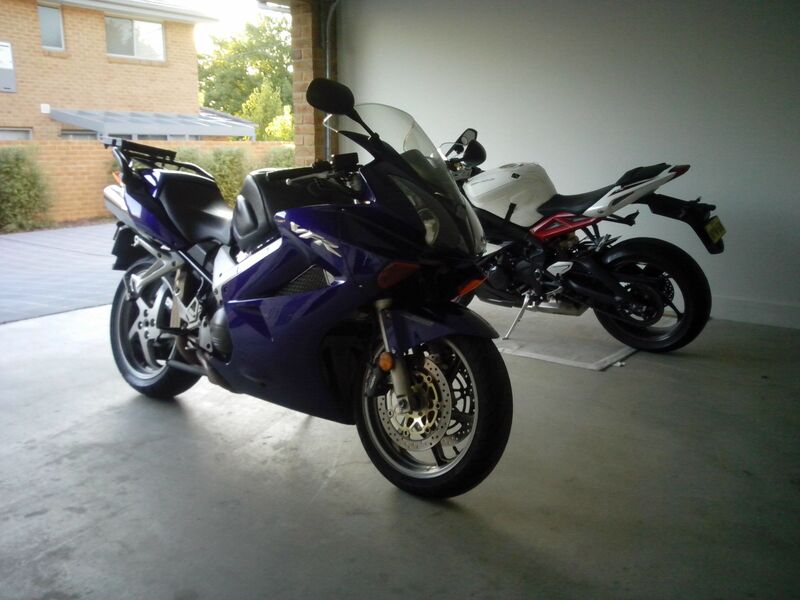 Author MabahoPosted on February 10, 2014 September 3, 2014 Categories BikesTags CanberraMove, Daytona675, rides, VFR800Leave a comment on I haven’t ridden this far in 50 years. OK. I measured out the distance and went out to find some options at the shops. I came back with a long cable and a connector to allow me to have RJ12 on one end and RJ45 on the other. As I was mucking trying to sort out the tidiest route to run the cable I tried one of the other sockets in the house, which also worked. Then it dawned on me that the socket I had just tried was an RJ12 not the RJ45. I could run the big long cable without connectors (less signal loss) and put the routers exactly where I had planned in the first place. Bonus was that the cable would run around the rooms in such a way that I wouldn’t be crossing (and likely tripping or pulling them out) the cables very often. Well after a non-stop drive down to Canberra, I’m finally in my place here… and probably should head to bed very soon. I was just about to turn in for the night (about 2130) when the Tech Support guy rang me back. He was very helpful and we eventually established that the phone jack in the room I have set up as a study, isn’t connected to the phone line in the house. So now I have the modem in one room, wifi to the iMac here and the server with my iTunes library and Time Machine backup is currently off the network (no wifi card in it). move rooms (means dismantling both desks and beds and swapping them, then putting them together again and setting it all up….. ugh). Though having the ensuite in my study sounds kinda cool. some sort of complicated multiple router setup, I could do it easy enough, and I think I wouldn’t even have to buy anything, but I’d still have wifi to the internet. Hmm, maybe I should just measure how long the phone cable needs to be to reach from that room to this one … heads off to start counting paces around the house. Remember the principle – Keep it Simple, stupid. Moving truck has come here, filled up and is on its way to Canberra. I’ll ride down tomorrow, pick up the keys and delivery is the next day. Then it’s a quick unpack, maybe build the bed etc and back home. 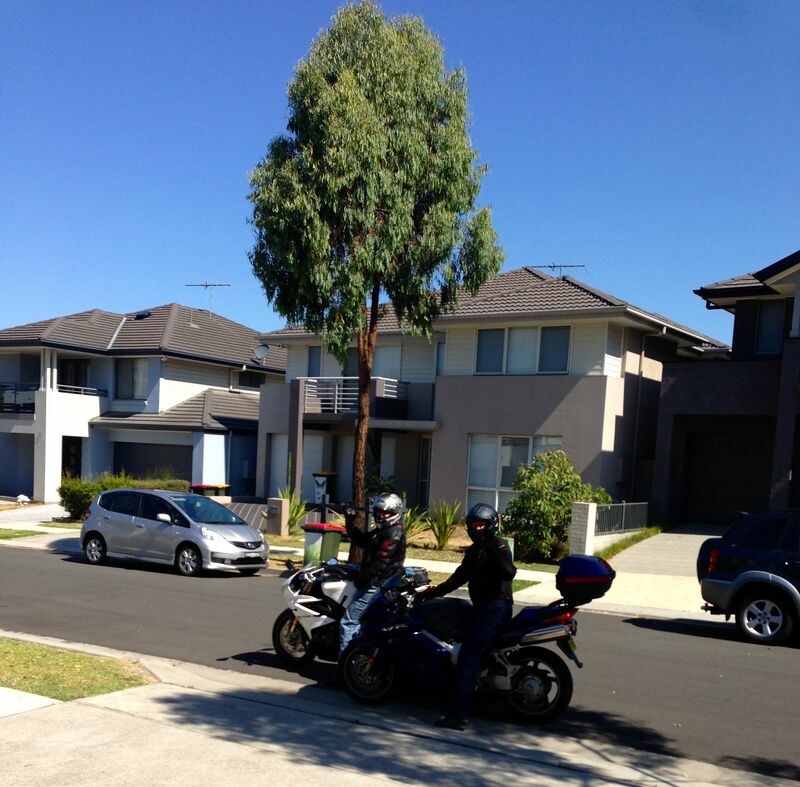 Author MabahoPosted on December 9, 2013 Categories Home & FamilyTags CanberraMoveLeave a comment on Canberra – Moving Day. Mrs has directed that the iMac comes to Canberra with me – surprised actually, I hadn’t expected to be allowed to do that, hence all the other plans. So I’ll take the iMac and the NAS, and the PS3. The router can stay here as a colleague rightly pointed out, when you sign up for a new internet connection (as I will need to) you’ll get a router anyway. Am having to move everything back to the NAS though… a small pain. And that leaves them with no library here so I will need to install a serious sized HDD in the PC here to put the iTunes library on….. well maybe just the kids movies would be required. That’d fit on the SSD currently installed. Might still get another screen for Canberra and perhaps look at getting the PC later. With the OSX changes to multiple desktops, having 2 x 27″ screens would be pretty awesome. And the PS3 can be the TV through the other one when needed. With the money saved, I can look at an Adobe subscription, a WoW subscription and a new pushbike. OH! I have actually found a place that meets all of my need and want list and much of Mrs list too. I have a double garage, its a few minutes from work. She has a nice modern townhouse with a couple of bedrooms, and somewhere for the kids to go play nearby. 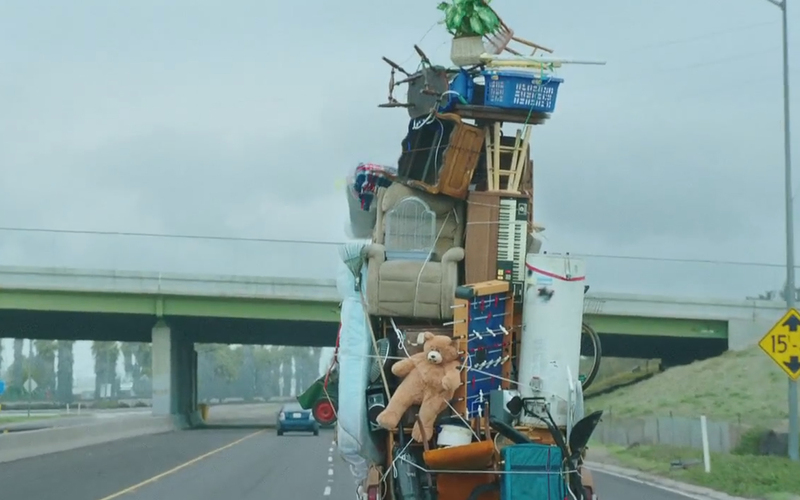 Moving day is in a couple of weeks. But I won’t be living there until next year. Work had me in Canberra last week, doing what I’ll be doing next year. I’m headed down this morning again too (Monday) to keep at it for a couple of days, bolstering the guys who have been doing it this year. It’s given me a chance to sort out somewhere to live, just got to get those rental applications in now and cross my fingers. Then its the removalists packing the small amount of stuff I am planning to take with me (remember my family is staying here, so most of my stuff is too). Its getting time for me to order the PC parts so I can put it together. Once I get it up and running I can reorganise the NAS in order to support it. I have already weaned the iMac off the NAS so now iTunes is back onto a USB hard drive. I still have the NAS copy as backup so I’m not too unhappy (and still have an off site backup at the moment – though once the NAS and the PC move to Canberra they’ll be the offsite backup). I’m thinking about playing WoW again. My old guild is recruiting and their current raid nights (Mon Wed Thu) are perfect for me next year. Home alone all week but with my family all weekend, the Fri, Sat, Sun roster won’t work for me. They’re also friends and it would be great to play with them and for the first time, play in the raiding team. They need a healer and I could also main Dasal instead of Mabaho. I just have to level them…. …. and gear up, lol. The other thing I was considering was that in the new expansion the raid sizes aren’t fixed, so I could join in as well. So its back to the old challenge – be level cap BEFORE the expac comes out. And this is with a year penalty start!